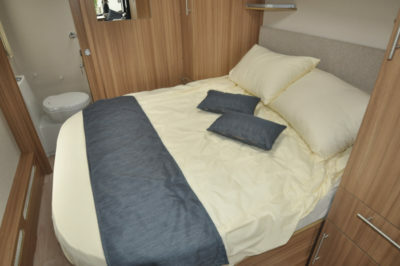 Caravan manufacturers have certainly got it covered when it comes to bed choices – but caravanners views are mixed when it comes to their favourite caravan bed layout. In our recent poll we asked owners to vote for their favourite beds layout and with almost 600 votes it was fixed beds that came out on top. The top favoured beds were fixed twin beds – no climbing over each other to get to the loo in a morning and perfect for lone sleeping – gaining a third of the overall votes. 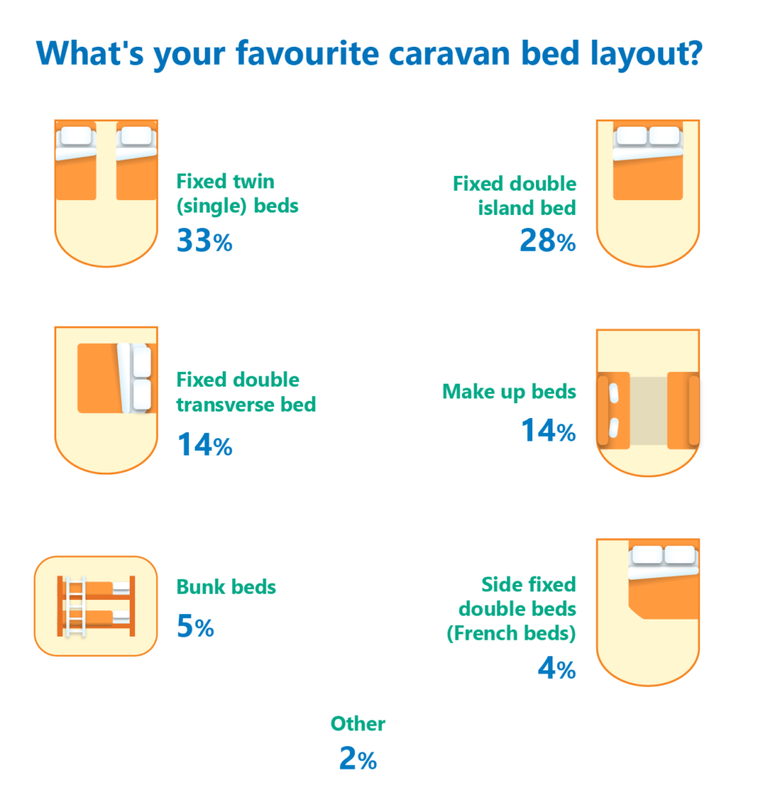 Caravanners clearly prefer not to waste precious time on holiday making up the beds, with 28 per cent of voters choosing a fixed double island bed as their favourite – placing it in second place in our community poll. Tied in third place were the fixed double transverse bed and make up beds, each gaining 14 per cent of the votes. Bunk beds and side fixed double beds (or French beds) were the least popular, with just five and four per cent of the votes respectively. Other caravan bed layouts which voters listed were fixed bunks with a make up double; fixed bed and fixed bunks, as well as transverse bunks in a rear end bedroom. A few of you shared your passion for the fixed bed without the joins of a make-up bed. Peter Brook has had caravans with make-up beds, one with a fixed side double bed and now one with an island double fixed bed. 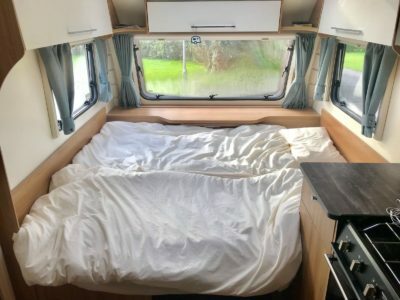 Jeannie Reilly voted for a fixed transverse bed as her caravan bed is against one side meaning she has to climb over her husband to get out of bed in the morning! But other readers commented that they preferred the versatility and space provided by make-up beds. Edward Baldwin and his wife don’t like fixed beds either: “The beds are better if you can put up the ones you need to use rather than being stuck with one that you have to walk round all the time,” he added. Thanks for all your votes and comments. The favourite is fixed single beds with the highest votes polled. That’s crafty adding the two types of fixed doubles together, and wrong !!!! We’re not trying to be crafty Geri. These were the options our readers voted for. Our island bed in bailey senator is simply heaven. A good night’s sleep gives you a better holiday. Found this really funny, but good as well. We have a french bed and so convenient to have it made up ready – only down-side is the narrow gap to get through to the rear washroom.